To take home a piece of authentic Native art is to savor the soul of the Southwest long after Arizona's iridescent skies and prickly terrain fade beyond memory's horizon. Spirit and function stand so closely within Native American handiwork, the region's people have no single term in their language for "art." Their creations are an expression of cultural traditions and living history. However, new collectors should tread carefully: An alarming percentage of "Native" wares aren't what they seem. "Knowing who you are buying from is the bottom line," says Martin Kim manager of Arizona State Museum's nationally acclaimed store, Native Goods. "If you go to a reputable place at the start of your journey, then you'll get reliable information that will help you move through the marketplace and filter out imitations." Curiosity is a shopper's best approach. "You need to ask a lot of questions when you walk into a store - and I don't care if you're buying jewelry, a fetish or a weaving - you've got to ask questions," says Kent McManis of Grey Dog Trading Company, one of Tucson's oldest purveyors of Native art. The store proprietor should know who the artist is, where the piece was made and what materials were used. "If you get a blank look or minimalist answers," says McManis, "the odds are they don't know what they're talking about, and I would shop elsewhere." 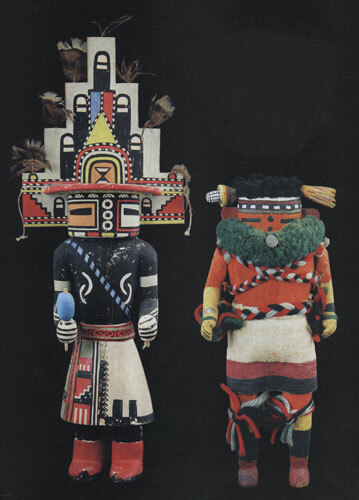 For example, katsina dolls, commonly referred to as "kachinas," run from $300 to $300,000 - a dizzying price differential that a reliable dealer can demystify. Hopi people use the carved toys to teach young girls about supernatural beings such as Turtle, Crow and Corn Maiden, who populate the tribe's spiritual world. "Because the figures are wooden and often simple, they are easily copied. Buy from those dealers known to handle them," says Mark Sublette, owner of Tucson's Medicine Man Gallery, which specializes in fine art and antique Native collectibles. Qualities affecting a katsina's value include rarity, age, detailing, artist reputation, and whether the doll is carved from a single piece of wood. Don't be fooled by shops trying to sell "Navajo" dolls, the cultural equivalent of a Nordic taco or Mexican kilt. "If it's not a Hopi katsina, you have to wonder why you're buying it," Sublette says. The Hopi have a 1,000-year history of katzina; the Navajo have no history of katsina." 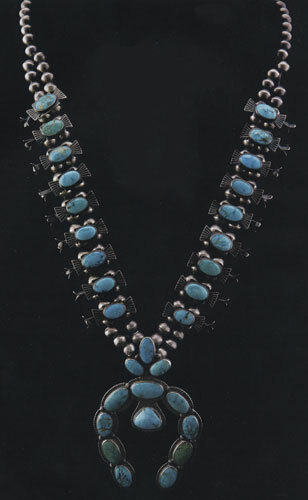 Jewelry trumps all other forms of Native art in popularity. As Sublette says, "The best thing about collecting Native American jewelry is you get to wear what you collect. How great is it to have your own personal collection with you all the time?" Jewelry is also the most faked item for buyers to worry about, and that includes turquoise, considered a sacred stone by many Southwestern tribes. The stone may be a vibrant blue with a chocolate-brown matrix, or it may glow an otherworldly green. An indefinable depth of color belies whether you're looking at a natural beauty, a treated lower-grade gem, or even plastic. "It is not easy to tell a fake from a real piece to the casual observer. This is where you really need to depend on your dealer," explains McManis. While turquoise and silver remain the most commonly used materials in the region's jewelry, today's artisans embrace other gems as well. Navajo-style pieces use silver to frame a central stone; Zuni work focuses on inlay and intricate stone shaping; and Hopi jewelry favors symbolic designs cut into silver. Buyers must decide which art form and time period best resonates with them. "I got into this primarily to help Native American folks who are currently working," says McManis, who emphasizes the work of living artists at Grey Dog Trading Company. "Selling old things is fine, buy you can't give money to dead people. I'm not helping the culture, the people, the art form, as I am when I'm selling things by a contemporary artist." At Arizona State Museum, Martin Kim bemoans the fact that so much of the marketplace wants to buy historic Navajo rugs, not recognizing that new pieces flow from the same endangered pool of talent. "We can't let this tradition die. We have to be willing to support both ends it it's to have any kind of continuity into the future," he says. Fifth-generation Navajo weaver Barbara Teller Ornelas is world-renowned for her intricate tapestries, which sell for thousands of dollars. "What most people don't understand is that my work is all hand-done," says the Tucson resident. "I process all my own materials; I card and spindle the wool and make them as fine as possible for a high-weft count." A typical two-by-four weaving takes Ornelas at least six months to complete - and that's working 10 hours a day, six days a week. Ornelas says she puts her heart and soul into her loom: "When you see my weaving, you see me." "A very traditional weaver realizes her life is woven into this rug," Kim says. "Many will leave a line that extends out, allowing their spirit to move out of the rug so it can return to the next one." The equivalent of the Navajo spirit line appears in some Native pottery and baskets as "heart lines" or "spirit breaks." Even Zuni fetishes, which appear to be simple animal sculptures, have deeper significance. The bear is a holistic healer, frogs help to bring rain, and the mountain lion - which McManis calls a "Zuni St. Christopher" - protects travelers and has become popular among military personnel headed to Iraq. 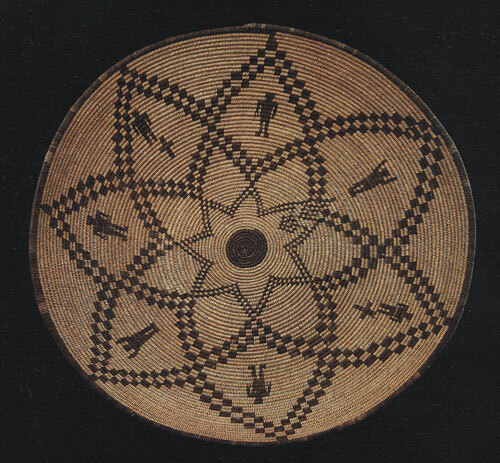 "The nice thing about katsinas, Navajo sand paintings, Zuni fetishes and some weavings and pots is many of them have a religious context behind them," says McManis. "You actually can buy a religion-based art form to take home with you." However, the spiritual significance of Native art eludes most casual shoppers, says Hopi katsina carver Gerry Quotskuyva, who garnered awards at Arizona State Museum's 2008 Southwest Indian Art Fair. "It's a living belief system," he says of items such as Native masks and katsinas. "But people walk into a shop and they think they are curious, not realizing these are objects used in ceremonial practices." Prices for authentic works depend on quality and scarcity, and the ability of a dealer to provide a provenance. As a general guideline, "a nicely hand-made object costs about $300; going from there, basically the sky's the limit," says Marybeth Rosenthal of Morning Star Traders, one of the oldest dealers of antique American Indian art in Tucson. "Beware of perpetual discounts," she adds. "If you're getting 75 percent off, something is wrong." Rosenthal and her husband, Rick, relish the sincerity of Native pieces and the makers' connection to the earth. "It's just amazing what they can make from raw materials," she says. Beyond value and authenticity concerns, Rosenthal has a shining golden rule to guarantee customer satisfaction: "Always buy for pleasure, and always enjoy what you are buying."